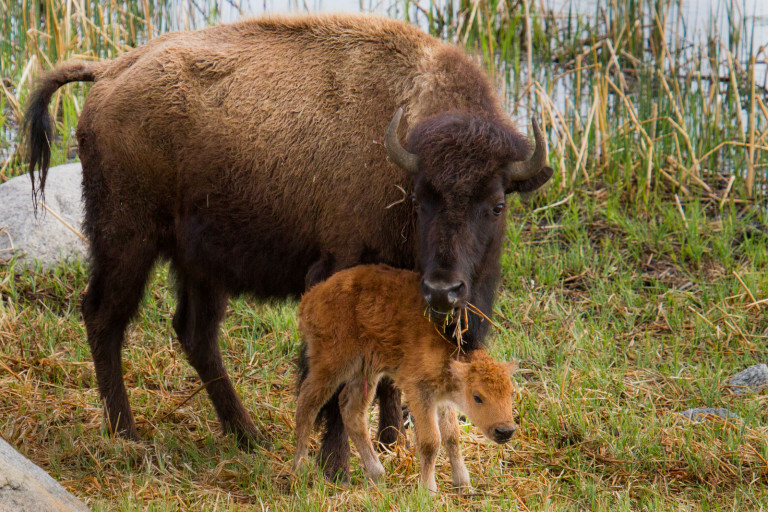 If you dream of a visit to Yellowstone National Park this summer, you’re not alone. Really not alone. More than 4 million people visit Yellowstone annually, and visitor numbers continue to rise over the years. So what’s a nature traveler to do? We have some tips to help you make the most of a trip to Yellowstone and enjoy geysers, hot springs, moose and wilderness away from the crowds. Make sure to see the “hidden gems” that aren’t in the guidebooks by going with an experienced tour operator that knows this region intimately. A side bonus is that the spots in the guidebooks are where all the other tourists will be! Select a tour operator that keeps groups very small, ideally fewer than 10 people per vehicle. That way, you get the guide’s full attention and expertise, and you’re sure to always get a window seat so you don’t miss a single bison. Spend time in the Lamar Valley to admire wildlife in Yellowstone's Northern Range, the best spot in the world for viewing wolves in the wild. This is the spot where wolves were reintroduced to Yellowstone in the 1990s and flourish today. Be sure the tour operator will take travelers to lesser-known and more remote areas. In these places, you can enjoy spectacular wildlife viewing without worrying about other visitors winding up in your photos or scaring away the bighorn sheep. Leave summer to the crowds by planning your trip for late spring, early fall, or the winter season. The summer months are the busiest time to visit Yellowstone, but May and September offer just as much beauty and more calm to make your trip more enjoyable. Winter time, particularly January through March, is when you'll have the best chances of seeing wolves in Lamar Valley. If you’re looking for a less-crowded Yellowstone trip that ticks off all these boxes and more, check out our Hidden Yellowstone Wildlife Safari with departures in May and September, and any of our winter wolf-focused adventures with departures in January, February and March.